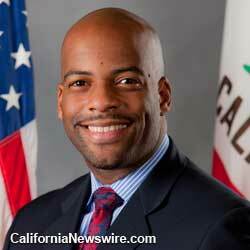 LOS ANGELES, Calif. /California Newswire/ — On Thursday, nursing home workers from throughout L.A. County will rally in support of Calif. Senate Bill (SB) 779, a bill that came to fruition thanks to concerns brought forth to Senator Isadore Hall, III (D-South Bay) of the insufficient number of direct care staff available to provide quality care at the skilled nursing facilities (SNF) at which they work. Currently under federal law, SNFs must have sufficient nursing staff to provide direct care services to maintain the highest practicable physical, mental and psychosocial well-being of each resident. A congressionally-ordered study recommends 4.1 hours of care per resident day (hprd); however, currently California is falling short with a minimum nursing staff standard of 3.2 hprd, thus creating a subpar working environment as certified nursing assistants (CNAs) are tasked with tending to the needs of too many patients at a time. SB 779 would increase the minimum direct care service hours to the congressionally recommended 4.1 hprd and would mandate a specified staff-to-patient ratio that affords a healthier living environment for patients and a quality working environment for nursing home workers. WHO: Hundreds of nursing home workers joined by elected officials and community allies. WHEN: Thursday, April 23, 2015 at 11 a.m.
VISUALS: Hundreds of nursing home workers carrying signs outside of Villa Maria Elena Care Center, an SNF whose nursing hours per patient day is below the state average.